Conveniently located near the Budejovicka metro station and the Prague D1 highway, these luxurious, fully equipped offices offer full access and are available on highly flexible terms, including bespoke business support services. Each office has high-speed internet via optical cable and sophisticated telephone solution. Clients can define the final set-up of office solutions alone, the centre provides mailing addresses only for the company seat, rental of shared or private office for a few days of the month or full time, full-service or no service. This impressive, modern, steel and glass building is right next to the spacious international airport in the north west of Prague, making it ideal for the international business person. The whole city is within easy reach from this location as it is just a 20-minute drive from the west Prague circuit. Just a short drive away, you can reach public interest spots such as Zoologická zahrada hl. m. Prahy. This centre is situated in a modern business park with great links to the whole of Prague and only 10 minutes from the airport. The building is housed within one of four towers and has great natural lighting to the interior workspaces and communal areas. Amenities at this centre include secure parking, 24-hour access and high speed internet connections. This centre is ideal for companies that require late hours and value convenience. Located in the city of Prague this business centre offers a range of excellent work spaces which allow you to work in a professional and comfortable setting. Work stations benefit from great amenities including meeting room access, conference centre, printing facilities, 24 hour security and a shared kitchen with complimentary beverages. The centre is tucked away on the outskirt on the city in a great location with excellent links to transport. There is a public car park nearby to make your commute as easy as possible. Located in a developing area of Prague, commuting to and from this highly accessible business centre is quick and easy. Pricing is entirely inclusive and occupancy terms are flexible, meaning that this centre offers working suites ideal for any professional occupant. The centre includes business-quality Wi-Fi and co-working spaces where clients can network with like-minded individuals and communicate with corporate contacts in a highly professional and prestigious setting. Self contained two-story building purpose built for office space completed in January 2016. A lovely area home to some wonderful pubs, bars and restaurants. The building has three large office spaces and one small office space which can be leased as a whole, or alternatively, fully serviced workstations can be rented. The site contains modern and professional office equipment including fast, high volume colour printers and scanners, projectors and server hosting. This is a unique opportunity to rent office spaces situated in the major building of Prague, in a prestigious area excellently served by public transport and well connected to the highway. The building offers meeting rooms, parking area, cybercafé and various facilities and services. With exceptional quality provided, this centre is equipped to help a diverse range of businesses flourish under excellent conditions. The centre also provides a range of features including administrative support, conference facilities, spacious meeting rooms, 24-hour access and security, professional reception services and internal corporate telephony networks. These two- to four-person offices are situated close to the city centre and benefit from excellent public transport links. Underneath the building is private parking while facilities are modern and high-quality. Offices for renting available in an impressive building finished to a high standard. 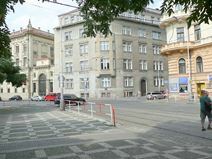 Centrally located in the first district of Prague, this building hosts a post office, dry cleaning, courier services and a restaurant and is well served by public transport and easily connected to the international airport. This comfortable and motivating space provides a secretarial team, IT support, administrative support, high-speed internet and impressive conference facilities. This magnificent building from the 17th century, recently reconstructed and equipped with the latest technology, consists of offices of various sizes which combine historical furniture and charm with modern services. The centre offers virtual office and company domicile services. The building is located in the city centre, close to the famous Bethlem chapel, and is well served by underground and tram lines. Located off the centre of Prague, this business centre offers modern work spaces at a very convenient price. This district offers parking areas, swimming pool, restaurants, cafés, banks, shops and excellent links to the city centre and to highway junctions, with metro, bus and railway stations located within walking distance. The centre consists of offices of various sizes, meeting rooms, lounge area, canteen and reception with multi-lingual secretarial staff. All the offices are fully furnished, air-conditioned and equipped with internet connection and high technology telephone and communication systems. This business centre is situated in a modern building close to excellent transport links. The centre offers serviced office accommodation, with modern furniture and a range of business support services. An on-site management team are constantly available to support clients' day-to-day needs and both 24-hour access and 24-hour security is provided within the business centre. All offices have daylight with adjustable windows. 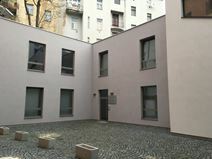 With a great selection of offices, this brand-new designer space is found in the heart of Prague. Suited to any size business, you can choose membership options that suit you best, with affordable rates and flexible terms. Offices are fully equipped with high speed internet and you will receive support from an on-site management team. Meeting rooms are easily booked out using an online system. The neighbourhood offers a range of amenities including restaurants, cafes and hotels. Located in a historical building in the heart of Prague, this business centre is within walking distance of the main square of the city and it is served by various public transport routes, railway and is easily connected to the main motorways. The centre offers a selection of modernly furnished and air-conditioned offices, and a full range of facilities: administrative facilities, reception desk, meeting rooms and high technology communication systems. The convenient location and the high quality of this working environment make these premises a perfect environment to run a successful business. A selection of first-class offices is available to let in this impressive building, designed by a famous architect and modernly decorated to a high standard to offer a unique working environment. 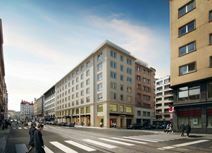 Located in one of the most dynamic and renowned business areas in Prague, this building is surrounded by leading international companies and businesses and a variety of amenities, from shopping centres to cinemas. An impressive centre providing a range of furnished office-spaces available to let on flexible terms. Here, tenants can make use of the high-speed internet connection, spacious meeting rooms, conferencing facilities and a dedicated reception desk. The building is also accessible 24-hours a day, meaning tenants can choose hours that suit individual business needs. In addition, the location is great for aspiring tenants who wish to work in the midst of a bustling city centre, surrounded by plenty of amenities and activities to be enjoyed outside of work. Transport links are copious as well, with convenient road, rail and air links. This great city centre location provides quality transport links. The offices are all equipped with modern technologies and high-quality facilities can be found throughout the business centre. The space is accessible 24/7 with 24-hour security. There are also support services available to help with the efficiency and connectivity of your business. The site is highly commutable, with lots of transport links and a direct link to Vaclav Havel Airport. With a family-like atmosphere amongst the members of this space, this is a great option for anyone looking for office space just outside the city centre, close to the Hlavní nádraží rail station. All within a building that includes decorative elements from the art-nouveau period. This recently redeveloped workspace is located in the Prague One sector of the city within walking distance from the two main railway stations, offering easy access in and out of central Prague. Mainly used as a registered/virtual office and mailing address for companies and professionals, this office offers a wide range of facilities and services, including meeting rooms, mail forwarding and telephone answering services and highly skilled support staff. This beautiful, highly accessible, historical building is sensationally located in the very city centre of Prague, close to all the area's important historic sites of interest. With a fantastic selection of offices on offer, this location is ideal for freelancers, individuals and starts ups looking for a comfortable and modern place to develop their business in Prague. 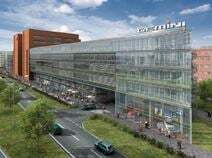 The building offers 2000 sqm of space with 250 work stations spreading across one vast floor. The building offers event space and conferencing rooms, with offices coming fully furnished and well equipped. The area offers a range of amenities including eateries and plenty of transport links. This Class A centre is situated in the historic Prague 2 district that makes it easily accessible from a key transport hub area of the city. While the interior has recently been refurbished the historic building that the centre is within makes for a great home for any business. The centre features excellent, professional facilities and is close to both public services and convenient transport links. Found in the heart of Prague, this modern business space provides a comfortable and professional place to work. Spaces are beautifully designed and adaptable to your needs, to ensure the highest level of comfort and functionality. The building is home to 620 unique work stations across a variety of office units, all fully equipped with all the tech you need to get started straight away. A professional trained team man a reception and with 24 hour building access you can work around the clock. With a fantastic selection of offices, this business centre provides flexible and affordable membership packages for professionals looking to work somewhere bright and refreshing. This environment will boost your productivity, with plenty of natural light and a thriving community in-house. The building has a range of convenient facilities like high speed internet, laundry service, reception services and more. Located in one of the more popular districts of Prague, this stylish serviced office centre has a variety of suites available to suit your needs. Many international firms have made their home here, and tenants will benefit from a great range of retail, eating and leisure opportunities nearby. Here, you will benefit from excellent facilities such as modern meeting rooms, on-site management, parking onsite and breakout/lounge spaces. Situated on the fourth and fifth floors of this Revolucní Street building and made up of 36 fully equipped offices and three meeting rooms, this center benefits from a prestigious business address and provides an on-site support team. The modern, flexible and professional business centre also provides an elegant reception area, relaxing breakout zone, copy centre and secured server room. The Náměstí Republiky metro station is located just 200m from the main entrance and right in front of the tram and bus stop. Located on a modern office park in Karlion, one of Prague's fastest developing corporate districts, this area has a strong network and professional community of companies from industries ranging from technology to consultancy. The centre is a recent build and provides tenants with excellent office suites that greatly benefit from an abundance of natural light and meeting rooms of various sizes; all accessible 24/7. 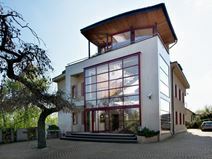 Located in the immediate proximity of Prague's historical centre, this superb business centre consists of modern offices, spacious meeting and conference rooms, provided with state-of-the-art technology and high speed internet connection, as well as with professional and friendly reception staff to support and assist your business. This business centre is well connected to the international airport and is excellently served by public transport. This business centre is within easy walking distance of shops, transport links, restaurants and much more. The centre is modern, offering fully furnished office space that is ready for your business, with excellent facilities that will enhance your business. There are spacious meeting rooms, conference facilities, 24-hour access and secure parking on-site for easy access. It is easily commutable, with a convenient connection to the D1 highway. This modern office building is just minutes from the city centre and has a private sunny terrace spread over 800m². There are also 31 fully equipped offices spread over the 7th floor of the building along with two professional meeting rooms and spacious relaxation zones. The Atrium Flora shopping mall is connected to the office building and this provides great access to a wide range of popular and high quality retail outlets on-site.